B.C. 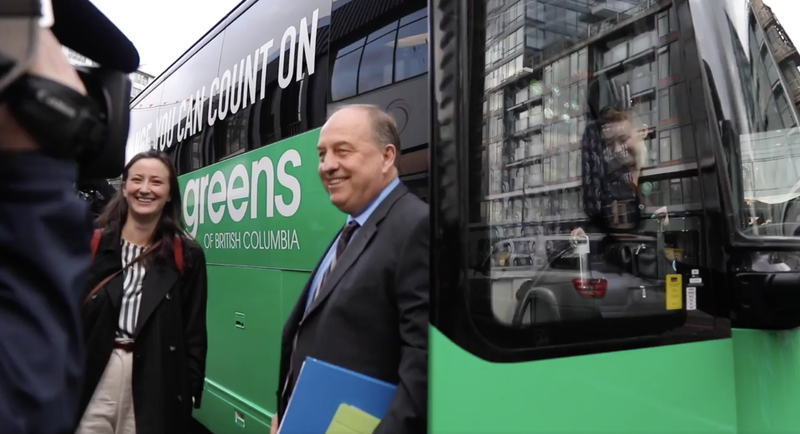 POLITICS – How will B.C.’s NDP pay for deal with Greens? THE POWER-SHARING deal struck by the New Democratic Party and Green Party means British Columbians could soon see an NDP minority government propped up by the Greens. But if NDP Leader John Horgan becomes premier, the deal with Andrew Weaver’s Greens would commit the NDP to policies and government spending that was not part of the NDP’s election platform. Under these circumstances, will a Horgan-led government keep the NDP’s election promise to balance the budget and, if so, how? On election day, more than 80 per cent of B.C. voters supported political parties (the Liberals and NDP) that promised consistent balanced budgets. The Greens are the only party that didn’t commit to balancing the budget every year while in power. Will a Horgan-led government keep the NDP’s election promise to balance the budget and, if so, how in the face of Green-driven spending plans? But the initiatives outlined in the NDP-Green deal – including new spending initiatives – suggest British Columbians could be in store for budget deficits. The deal doesn’t provide details on how much the new policy commitments will cost. However, some of these policies come straight out of the Green Party platform, which contains cost estimates of the initiatives. For example, the agreement commits a Horgan-led government to hiring new government workers. The Green Party’s platform puts the cost of increased staffing at public care homes (nursing homes, for example) at $200 million over four years, and projected $100 million for additional social workers. Other new initiatives – a work experience program for students and skills training for some displaced workers – would cost more than $100 million over four years. Additional spending increases will be needed for other new commitments made by the NDP in their pact with the Greens, including the creation of an essential prescription drugs program, an innovation commission and a new task force on the economy. According to the agreement, the budget for the latter two initiatives will be decided jointly between the NDP and Greens at a later date. To pay for the new spending required to gain support from the Greens, a Horgan-led government would either have to cut other spending, raise taxes or run a deficit. However, the uncertainty – particularly from the potential for higher taxes – will undermine the province’s attractiveness as a place to do business. If a Horgan-led government decides to raise taxes to pay for new spending to appease the Greens, it will come on top of economically damaging tax increases (including personal, business and carbon tax hikes) already proposed in the NDP platform. Running a deficit and increasing government debt would also be problematic. A deficit today is nothing more than a tax that must be paid by taxpayers in the future. Adding debt will leave businesses and households uncertain about future tax hikes, and that uncertainty impedes investment and entrepreneurship today. Increased government debt can also lead to higher debt interest payments, which will take away resources from the public programs that British Columbians value. To alleviate some of the uncertainty in what has become an uncertain time in B.C., and to inform British Columbians wondering about the future, the NDP should clarify whether it remains committed to a balanced budget and how it intends to pay for its deal with the Green Party. Charles Lammam is director of fiscal studies and Hugh MacIntyre is policy analyst at the Fraser Institute (www.fraserinstitute.org). 2 Comments on B.C. POLITICS – How will B.C.’s NDP pay for deal with Greens? So simple to blame the media and the BC Liberals for the “propaganda”. Does not matter, who is in power, “How much will the BC taxpayer be paying for the deal between the NDP and the Greens?” How much would the BC taxpayer be paying in taxes if the BC Liberals would continue to be in power. All of this propaganda being thrown at us is just that, propaganda. The agreement between the Greens, and the NDP is a very simple one, the NDP only asked the Greens to support them on Confidence votes, and the Greens agreed. The rest will be decided in an ongoing way depending on the legislation. There was no commitment for any party to go overboard with spending, for frivolous wants, or dreams. We all know that the Fraser Institute is nothing more than a lap dog for the 1%ers , and the Liberals.And now its job is to be a propaganda machine, which it does quite well.